I set out to provide the reader with a detailed overview of the global illegal trade in African wildlife. The illegal trade involves the poaching, trafficking and consumption of common and endangered species. These include mammals, marine species, reptiles, birds and plants. I based my book on 12 years of fieldwork I did in Africa and the United Kingdom, and current research literature. I worked in nine east and southern African nations interviewing hundreds of individuals involved in monitoring and preventing different aspects of the illegal wildlife trade. 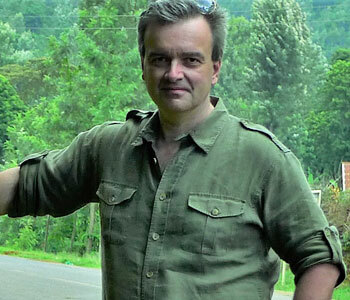 I also did research in the UK as it is a destination country for African wildlife. The result is a book that provides a contemporary description of the nature of the wildlife trade including the species; the poachers, traffickers and consumers; the causes of these crimes; and past and current efforts to control and prevent the illegal trade. Ecologists and biologists conducted much of the early research on poaching and trafficking with a focus on species survival and habitat preservation. I approached the problem as a criminologist, that is, one interested in the causes of crime, the behavior of offenders and solutions. I provide a detailed description of poachers including their methods and motivations. I also examine the role of intermediaries in the illegal trade. These are the key actors who move the illegal wildlife products from poacher to retailers. They are involved in a range of activities including recruiting poachers, supplying firearms, paying bribes to government officials, and smuggling wildlife to the end user nations. Finally, I describe the consumer nations for wildlife since their demand for these products influences the market. The focus is mainly on markets in Africa, Asia and the European Union—all major destinations for African wildlife. In a chapter on causes of this crime, I start with a description of the impact of game parks and game laws established during the colonial period in Africa on traditional wildlife use practices of indigenous populations. I also examine what occurred in wildlife conservation following the end of the colonial era when many African nations transitioned to self-rule. In this next section, I provide the reader with a review of the application of modern criminological theory to wildlife offenses. 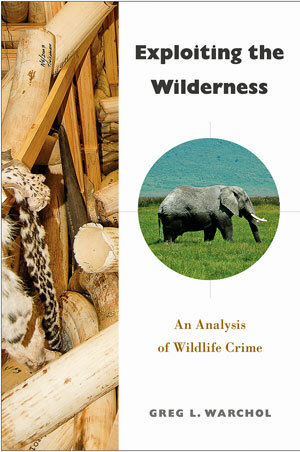 These include the contemporary work on data-driven anti-poaching efforts based on situational crime prevention theory. In a chapter on policing wildlife, I describe those individuals charged with protecting wildlife: the game or field rangers in Africa. My book offers a description of how African rangers are recruited, selected, trained and how they operate in the parks. I also compare and contrast the public sector rangers working in the national parks with their private sector counterparts who work as security in the private game reserves and farms of South Africa. As a comparison, I write about the U.S. model of conservation officers and game wardens at the state level. I would like the reader to come away with a sound understanding of the nature of this problem, the actors involved in this crime, and the threat it poses to wildlife in Africa. I want to reach a broad range of readers interested in wildlife conservation Besides university professors and graduate students, I also want this work to encourage undergraduate students interested in conservation to pursue a career in the field, and to serve as a foundation for other criminologists to build upon with their research.